Speaking at the 29th conference of the Arab Inter-Parliamentary Union (AIPU) currently being held in Amman, Jordan Sabbagh Al Quds (Jerusalem) is the essence of Arabism, and defending them is defense of Palestine and the existence of the Arab nation. 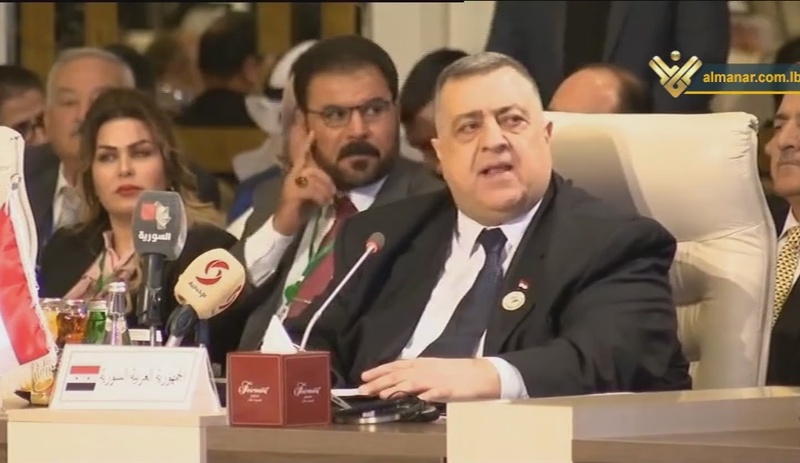 The Syrian speaker said that Syria’s victory over terrorism is a victory for all Arabs and the region, and that with this victory, and that this victory will herald a new, more balanced world order. He said that the Syrian people are making great sacrifices in defense of their country, despite the great imbalance in power between them and the many enemies rallying against them including the NATO, the Israeli enemy, and their terrorist mercenaries who came from all over the globe, SANA news agency reported. Sabbagh also noted that despite the unprecedented scale of terrorism targeting Syrian people, along with the psychological and media war and diplomatic and economic embargo, they proved that true strength lies in unbeatable willpower.